The butternut squash is a bit of a new-kid-on-the-block when it comes to the allotments of northern European, however it is easy to grow and definitely worth the effort in both flavour, texture and productivity. It will also store well and actually improves in taste the longer you leave it in the field. Like many crops though, leave it too long and it can be damaged by frosts or eaten by mice. So the question is this, when is the best time to harvest butternut squash? To start with it’s best to leave the majority of your crop on the vine until late September or October to make sure that the skins have thickened up enough for winter storage, but keep an eye on the overnight temperatures to make sure you pick your butternut squash crop before the first frost. You will know that they are ready when the butternut squash have turned a deep, solid tan colour and the rind has hardened up. To make sure, you can test it by gently pushing your thumbnail into the skin. If you can leave a dent without it puncturing then it is ready for harvest. When picking butternut squash, cut it from the vine with a sharp knife, leaving about two inches of stem still attached to the squash. This will dry off and prevent bacteria entering the squash through the temporary soft spot where the stem once was. If you don't leave a length of stem the you are at risk of your squash rotting off. Any bruised squash should be eaten as soon as possible as they will not store well. After harvesting butternut squash, they will need to be cured for storage. 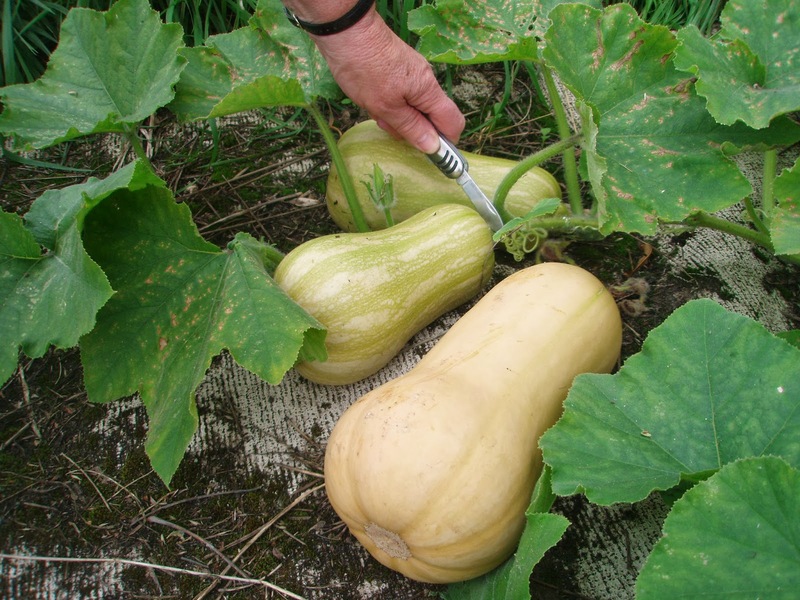 Let the squash sit at room temperature for a week or two to fully harden the skin, but please them outdoors as they will be vulnerable do damage from insects and small mammals. Once cured, the fruit can be stored in a cool, frost free environment such as a basement or garage. 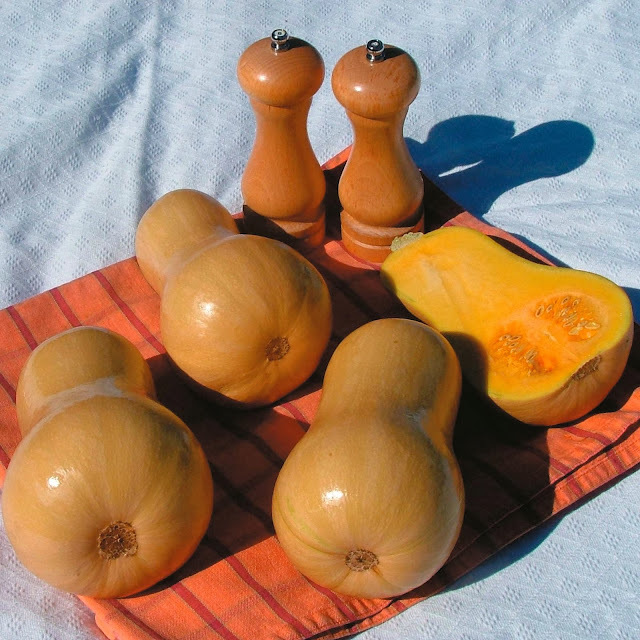 Properly stored, your butternut squash harvest should last from three to six months.